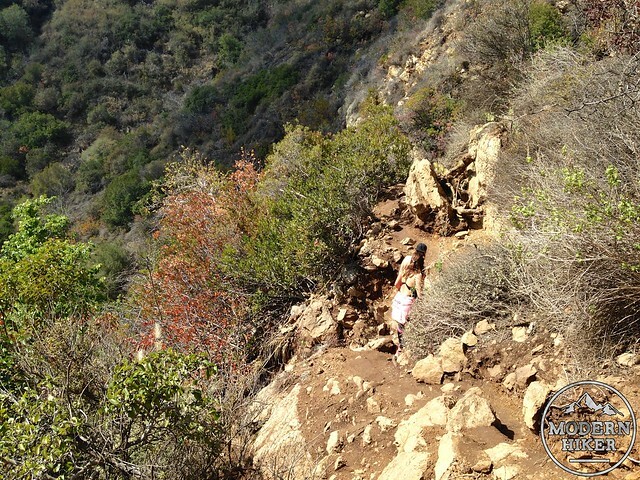 The Winding Way Trail in Malibu leads to the multi-tiered 150 foot tall Escondido Falls, the tallest waterfall in the Santa Monica Mountains. While the waterfall’s strength is subject to the levels of precipitation, the trail to the base of the falls is a shaded, lovely stroll – and the trail to the upper tiers of the falls is an exciting challenge for hikers who aren’t afraid to get their hands dirty (or gaze off some very steep drop-offs). 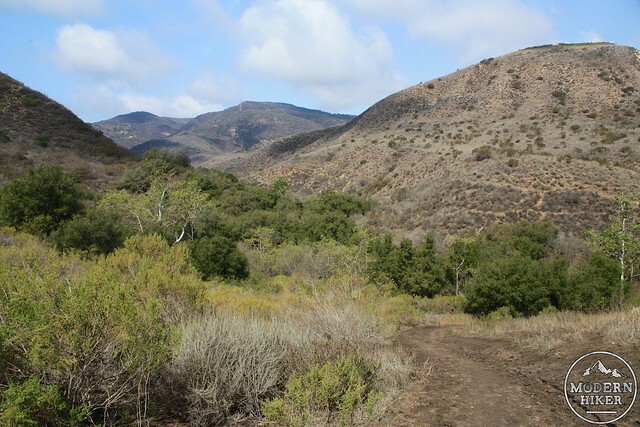 This is one of the most popular trails in the Santa Monica Mountains – and with good reason. 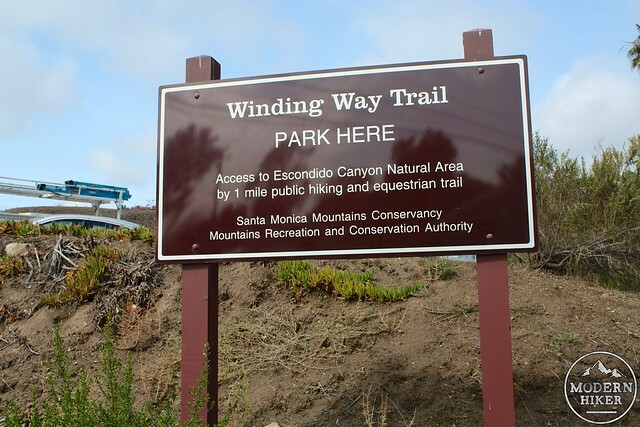 The trail starts at the intersection of the Pacific Coast Highway and Winding Way, a private drive in fanciest Malibu. There’s a small parking area just off the PCH but parking is also available on the PCH itself as long as you keep an eye on the sporadic “No Parking” signs. 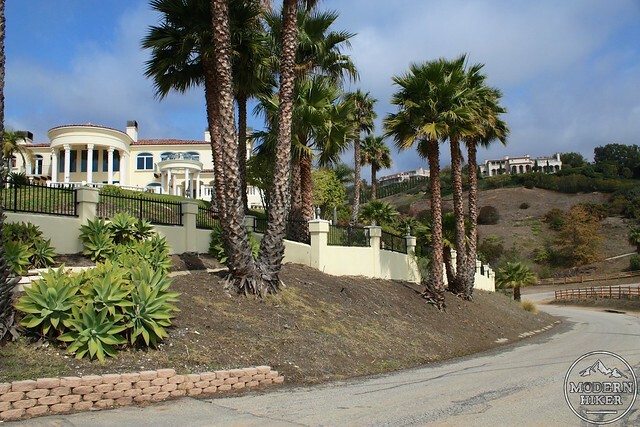 The first 0.8 miles of this route is walking alongside the paved road as it snakes its way into the canyon where people with big houses live. They make it very, very clear that you are supposed to stay on the dirt on the side of the road with helpful, vaguely threatening signs along the way. Stay on the side of the road to avoid the cars that travel here – there are a few blind curves along the way! 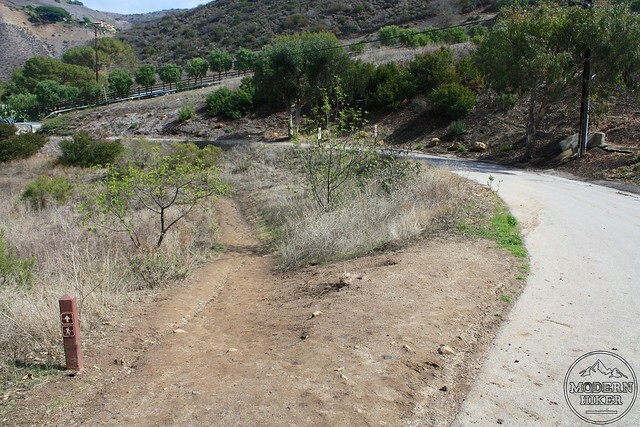 Around the 0.75 mile mark, the road does a partial cul-de-sac but continues toward an equestrian ranch. Continue walking along the road. 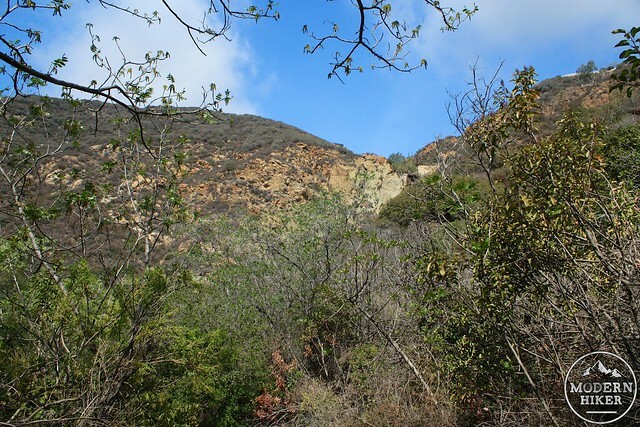 Finally, here you’ll have some views of undeveloped Escondido Canyon to the north. Shortly afterward, you’ll see the trail leaving the road and descending into the canyon itself. It’s a quick, steep descent that mercifully takes you off the paved road and into the shaded canyon. Once you drop down away from the road, the trail drops into the creek bed of an intermittent stream. 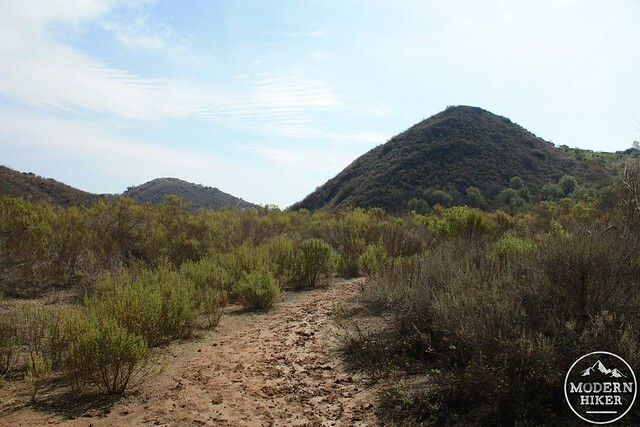 Take a left at the first junction here and head west / northwest into Escondido Canyon. 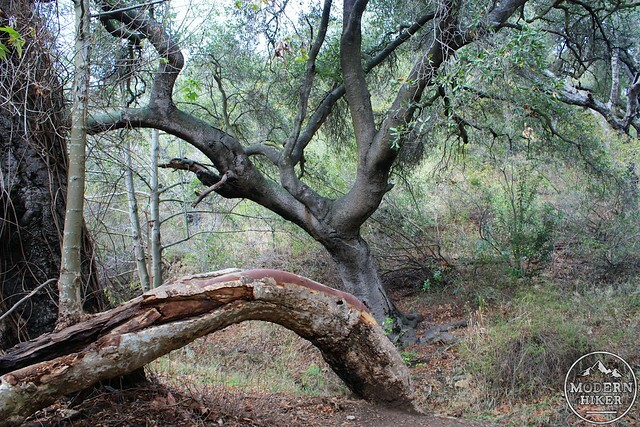 For the next 0.4 miles, the trail meanders through some of the loveliest riparian canyon terrain I’ve seen in the Santa Monica Mountains – if the creek is running, you’ll get to hop it a few times – and if not, you’ll still be able to enjoy the twisted trunks of beautiful oak trees. 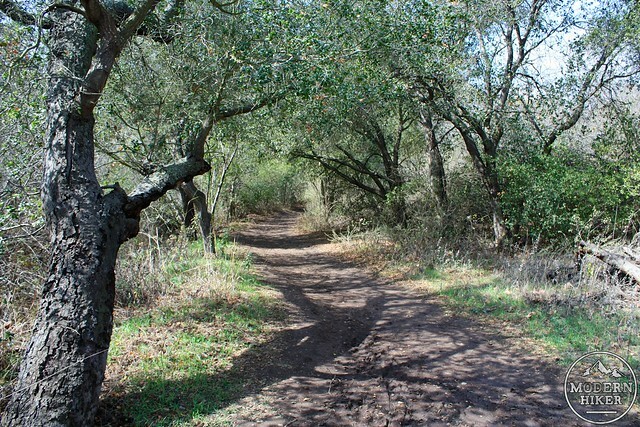 There are a few spur trails to the west that will take you up to the pavement of Murphy Way, an alternate trailhead to the area – ignore these and stay on the main path. The trail rises out of the tree cover for a short period, giving you another nice view of the surrounding hills and peaks. If it’s hot out, don’t worry – because the trail gets shady enough soon again – keep your ears open, because you should be able to start hearing some trickling water by now … and you’ll also be able to see the top of the waterfall, too. It looks high (because it is), but don’t worry – you don’t have to head up that high … unless you want to! 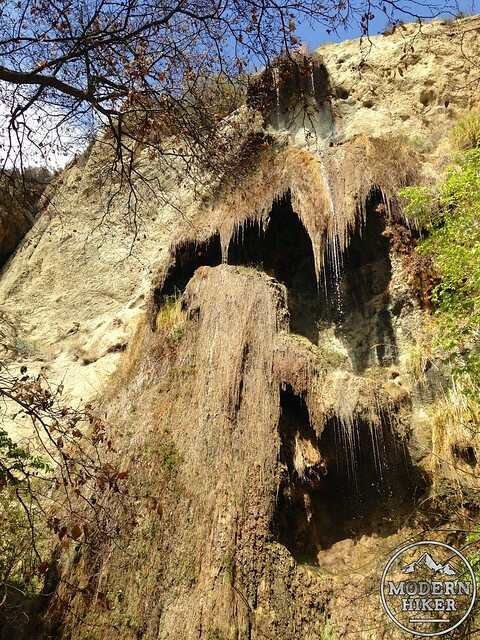 As you approach the base of Escondido Falls, the tree cover gets more and more dense – and then the trees open up a bit into a gorgeous little grotto near the base of Lower Escondido Falls – a 50 foot tall gentle cascade that ends in a shallow pool. The atmosphere here is wonderful – the air is cool, there’s a breeze coming off the falls, and everything is covered in greenery. 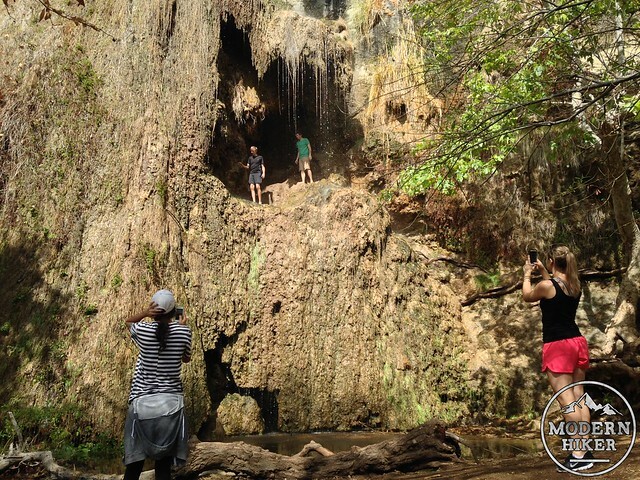 You can enjoy the pool at the bottom of the lower falls or – if you’re feeling adventurous – continue to the Upper Escondido Falls – a more impressive three-tiered cascade. The trail to the Upper Falls is significantly more difficult than the trail you’ve been hiking on so far – but it’s not impossible. Just to the east of the Lower Falls’ grotto, look for a steep use-trail that passes through a small chain link fence. 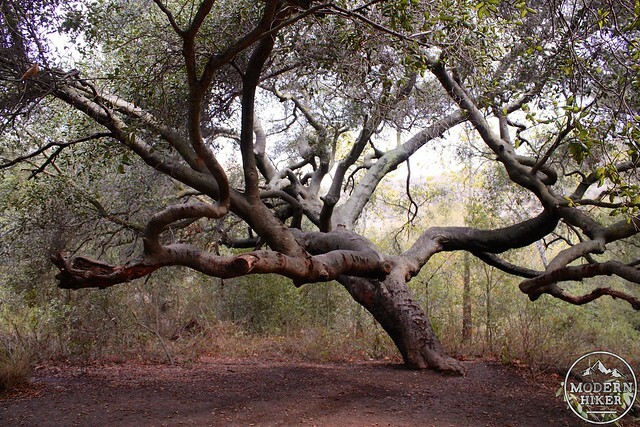 There are ropes tied to some of the trees to help you climb upward – these aren’t necessary here but they do help. This is an unofficial and very unmaintained route and should not be attempted by anyone who’s not experienced with scrambling … or by anyone who has a fear of heights or isn’t wearing good hiking shoes. This route gains 176 feet in the next 0.2 miles in two main climbs, and the first is right out of the gate. Hang on to the rope if it helps you ascend this first stretch. When the first rope ends, a second will help you navigate over an eroded cliffside dotted with boulders and exposed tree roots. After the climb, the use-trails fan out in a few different directions. Based on my minor explorations it looks like most of them eventually end up connecting with each other. After the first climb, there’s another very short scramble up some boulders and roots before the trail levels out a bit, hugging the edge of the ridge as it makes its way toward the top of the Lower Falls. 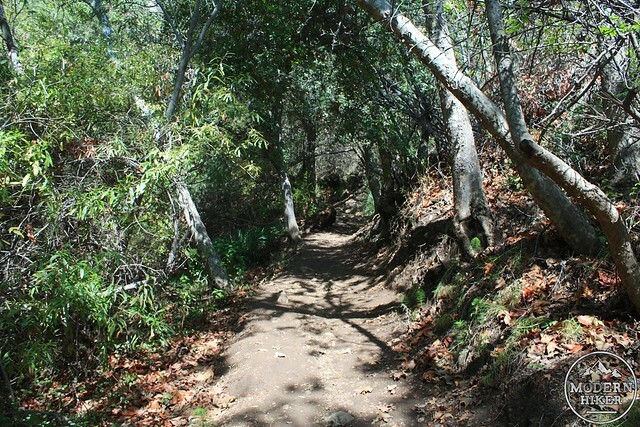 This trail makes its way to the top of the Lower Falls, then climbs over a pile of large boulders lodged in the canyon. And when I say climbs, I mean climbs – you will definitely need to use some scrambling / bouldering moves to get yourself up over the obstacles here. Thankfully the rocks are pretty close to each other so you can wedge yourself upward without too much difficulty. Just go slowly. After you reach the top of this pile of boulders, your climbing is over. From here, follow the trail into the stream bed, then boulder-hop your way along with the water until you reach the base of the Upper Falls. For the extra adventurous, there is also a route to climb to the top of the Upper Falls. Another use trail leaves the creek bed back near those boulders – from there, you can scramble up another ridge and then climb to the top of this tiered waterfall with the aid of several ropes. This trail is even more difficult than the route to the base of the Upper Falls, and should be attempted only by experienced scramblers at their own risk. If you decide not to make that final scramble to the very top, the base of the Upper Falls is still a great place to end your hike. There’s a route you can climb (with ropes, naturally) to get behind the last cascade of the falls. The water is far too shallow to jump, but it’s still a great spot for photos or to cool off in the falling mists. When you’ve had your fill of the waterfall, return back the way you came. This canyon is best visited in the winter or spring months – and is markedly different when we’re not having a drought year. I went the day after three days of near-constant rain and the falls still didn’t have a very significant flow (although I still had a great time on the trail). This video from the Mountains Recreation and Conservation Authority was clearly taken during a wetter year and the landscape is markedly more green. Very good. The first 0.8 miles of this route is on paved road, after which it descends to a well-worn single-track. The trail to the upper falls is significantly more difficult than the trail to the base, often requiring bouldering and scrambling skills on areas with very steep drop-offs. 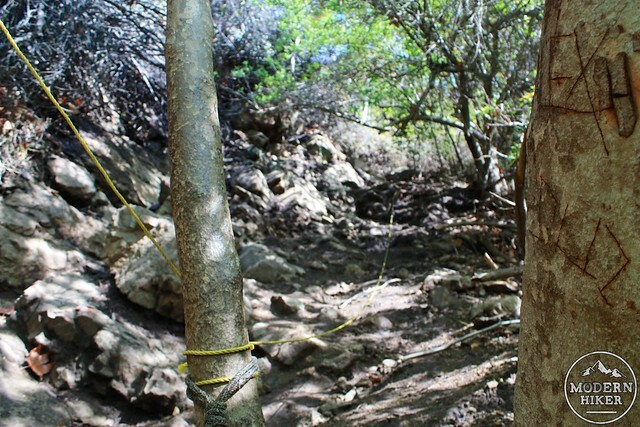 This section should only be attempted in solid hiking shoes and at your own risk. From the PCH coming from Santa Monica, continue 17.7 miles from the end of the 10, past Malibu Lagoon and Pepperdine University. Take a right onto Winding Way. 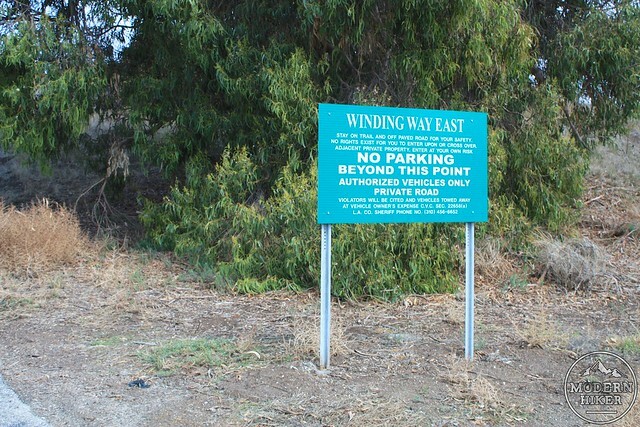 There is a sign for the Winding Way Trail on the west side of the street that leads to a very small parking area. If parking is unavailable, you can park on the PCH - just watch out for "No Parking Signs.” Transit accessible via Metro bus 534.
definitely wear good shoes. all the rainfall in the last few months have made such a difference. it used to be more trickly...now it's a waterfall. so beautiful. worth going up to the 2nd falls. 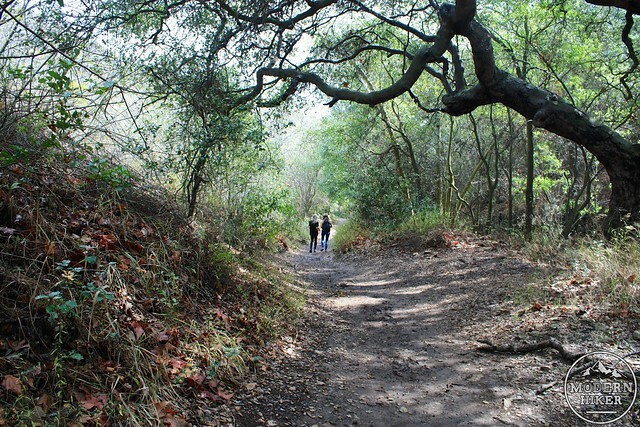 I went on this hike a few years ago with a big group of friends. (too big, too many kids. I apologize if you were there that day.) When we arrived at the trail head I realized I had forgotten to change my shoes before I left home. I was still wearing flip flops! I usually hike in hiking sandals anyway, and I practically live in flip flops the rest of the time, so I wasn't too worried, but I had read about the trail, so I was a little concerned. On the way up I must have had a dozen folks comment on it. "You're wearing those? Dude, you're crazy!" We made it all the way to the upper falls and back without mishap, and it was wonderful. but, yeah...Wear good shoes.